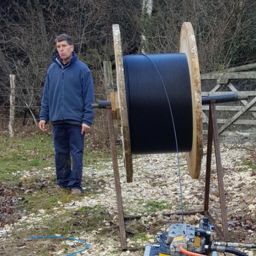 The following proposal focuses on providing the Borough’s rural communities with full symmetric fibre. This exceeds the DCMS ambition to provide “next generation Fibre to the Premises (FTTP)” as defined in The Future Telecoms Infrastructure Review. 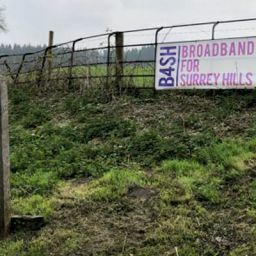 The proposal is that the Council should invest an initial sum of £10,000 in Broadband for Surrey Hills Ltd. (B4SH), which is an important first step in an evolving local digital strategy with full fibre as the enabling technology for a range of applications, includingGuildford town centre WiFi and LoRa (Long-Range) networks and, of course, 5G. All will support the ‘Internet of Things’ (IoT). The Executive may wish to consider a higher investment of up to £50,000 in due course after the initial roll out in the Albury/Chilworth area and the first phase has been fully evaluated. As well as working closely with the University of Surrey’s 5G Innovation Centre, neighbouring Boroughs and Districts and Surrey County Council, we have contacted Network Rail as a potential delivery partner/provider to facilitate broadband access through its lineside ducts and crossing points along six different rail routes into Guildford. Known locally as “BASH”, Broadband for Surrey Hills Ltd. (www.gigupanddown.net) is modelled on Broadband for the Rural North (www.b4rn.org.uk) which was founded in Cumbria in 2011 and has since spawned off-shoots in other parts of England, including the Yorkshire Dales National Park Authority. The Park Authority has provided B4RN with loan funding for a number of specific fibre projects over many years. Repayment of the loans with interest has enabled investment in new community-led broadband projects. Key to B4RN’s success has been the negotiation of free wayleaves with landowners. Incorporation as a Community Benefit Society has already helped B4SH with its own wayleave negotiations, receiving active support from the Duke of Northumberland’s Albury Estate. As joint managers of the public open access parts of the Albury Estate, Surrey County Council and Surrey Wildlife Trust have also been, together with Natural England, helpful parties in the wayleave discussions to date with local landowners. The Future Telecoms Infrastructure Review states: “investment is key to improving consumer outcomes in terms of choice, service quality, innovation and price over the longer term.” The deployment of full symmetric fibre to the premises by B4SH will realise all of these outcomes, offering the Council a leading role in facilitating broadband delivery and inspiring other Councils to add their support.